The very first thing that you should do when you’re trying to figure out how to start-up a snow removal business is to develop a business plan. The business plan will layout all of the things that you need to do, the cash flow, revenue, your expenses, and your capital expenditures. This is probably one of the most important areas to focus on particularly if you plan to request a loan from a bank or other lender. They will want to see your projections and understand how you will manage your costs and how sure you are regarding your income. Once you have a plan, it will become pretty obvious very quickly whether you can afford the equipment that you are going to purchase and whether you will make a profit or not. Basic budget is required for your business plan. This should include all of the expenses and operating costs that will be included in your business. It will also include the forecast revenue that you expect in the first year of your business. They should reflect the number of customers that you expect to have. The number of customers will then drive the equipment your business would require, the number of operators that you require, and the associated expenses with regards to fuel, repair, maintenance, employee costs etc. 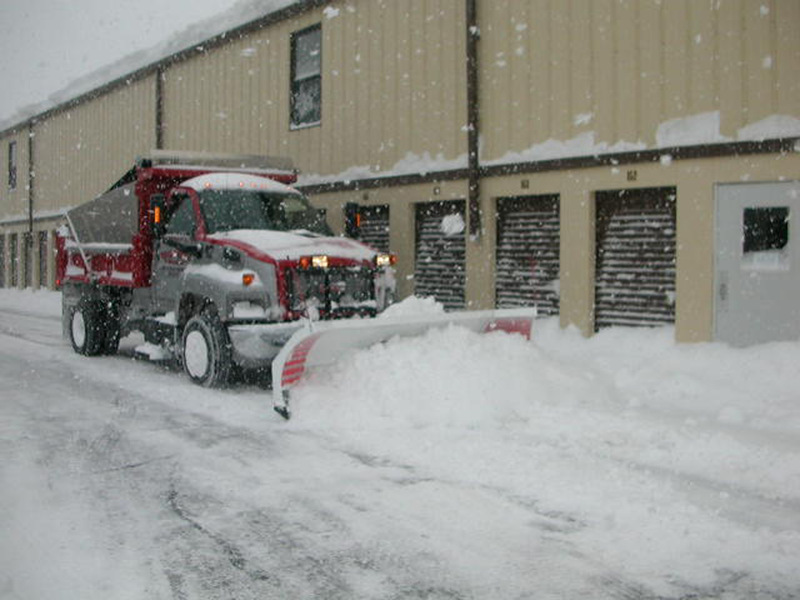 The equipment that you need for your snow clearing business will depend on how aggressive you expect to be. For example some people will use a truck with a blade on the front to clear snow off driveways. Other business people will tow a trailer behind a truck with a number of snowblowers and shovels on the trailer and at each location they will have to use the snowblower to clear the snow from the driveway. In other cases larger businesses will use tractors with snowblowers mounted on the back or on the front of the tractor. The type of business that you’re going to run will be based on the volume that you will have and will dictate the type of equipment that you will need. This will be part of your business plan assumptions and will it affect the capital that you will need to run your business. You will also need people to run your business. These people will consist of someone to answer the phone, and do your billing. There will be people who are needed to operate your trucks, run your tractors, and run your snowblowers. They must be available when ever there is a snowfall. Regardless of whether that is during the week on the weekend or at night over the evening period. They must be reliable people who will take care of your equipment and not abuse it. People who run equipment roughly will cause a great deal of maintenance costs that could be avoided. There will be advertising costs which will have to be included in the budget. This will be money that will be used to get your first customer and many customers after that. Advertising by word-of-mouth and advertising on the radio will be needed. Also advertising by putting flyers up in the neighborhoods that you are available to clear snow. Start slowly and build your business over time. This will be the easiest way to make sure that your cash flow is managed. Also that you have enough equipment to do the job. You must have people on staff to also run the equipment. Staying in business is all about managing the details. You must also keep track of the big picture to avoid any major issues. Such as mechanical breakdown and lack of equipment. However managing each customer and making sure that they are satisfied at all times is one of the most critical things that you must do. Do checks on the operators from time to time. Look for the quality of work that they are doing. Assess how well they are treating the equipment. These can make big savings for you if you are sure that you were treating the customer properly. Also that your equipment is being used well. Most significantly, owners must also watch the cash flow to ensure that revenues match expenses. If your expenses get out of hand you can find that there is not enough money in the bank. At the end of the month there may not be enough to pay all of the bills and then you are in trouble.